Freer Ideas is a Brighton based music project that aims to empower marginalised individuals & communities to start playing music. 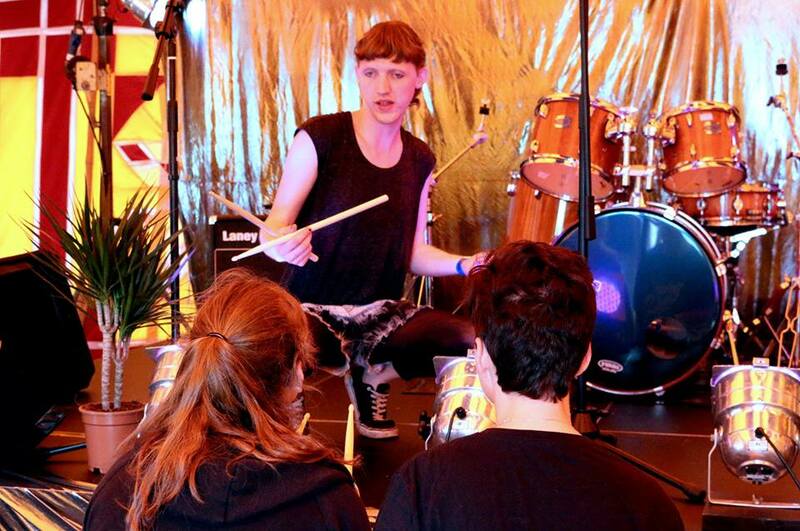 We currently teach drums, bass and guitar from our studio in Portslade and occasionally host group workshops and organise gigs. We want to demystify and diversify the process of learning and playing music, breaking down the social and cultural barriers that stop many people from realising their musical potential! What makes it different to other projects? We make sure that music lessons, workshops and events are as accessible and affordable as possible by listening to the needs of the community and using flexible prices for all our events and teaching so that no-one is excluded because of their health or finances. Why do you see yourself as punks in the community? We are trying to change the dialogue around music and education by primarily teaching about music by women, people of colour, queer/LGTQIA+ and self-taught/amateur musicians, rather than idolising the current mainstream canon of white, cis-male, highly-skilled musicians who get all the praise while other excellent bands and artists are ignored! What’s your top tip for ‘keeping it punk’ and making a difference to people’s lives? Prioritise and give platforms to the voices of the most marginalised people in your communities, whether they are disabled, queer/LGBTQIA+, people of colour, migrants, working class or women, or any combination of the above! These people are more likely to have their needs put to the side in favour of people with more social power, so they are the people we, as ‘punks’, need to be listening to and supporting more! Could you give us a quote or two from some of the people who benefit from your project? What other groups inspire you?